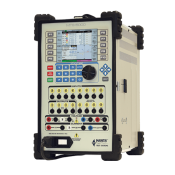 The MTS-5100 is the only all-in-one relay test set with a direct front panel interface for all functions, without exception. 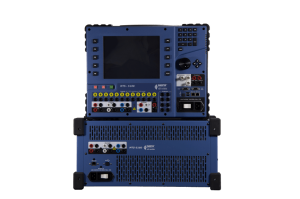 The ideal integrated system for testing and calibration of protection and control relays, simulation of power system phenomena, and verification of voltage, current, phase, and power transducers. (Included FREE with all MTS-5100 orders). 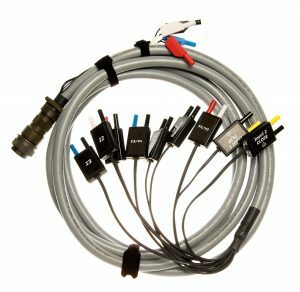 Full range of color-coded, bundled test leads. Includes 12 current leads, 6 voltage leads, 6 I/O leads, alligator clip adaptors, spade clip adaptors and a small carry bag. (One set included FREE with all MTS-5100 orders). Our heavy duty foot switch is used to free one hand when performing static testing. (Included FREE with all MTS-5100 orders). 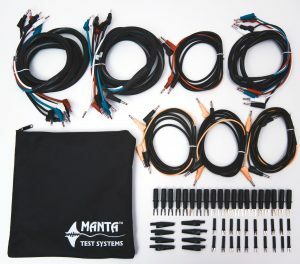 For communication with your PC and other Manta MTS units. (Included FREE with all MTS-5100 orders). For communications with your PC on the serial port. (Included FREE with all MTS-5100 orders). To assist with end-to-end testing. (Included FREE with all MTS-5100 orders). 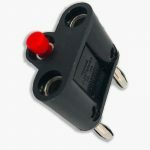 The extension lead to your GPS Antenna, to assist with end-to-end testing. (Included FREE with all MTS-5100 orders). 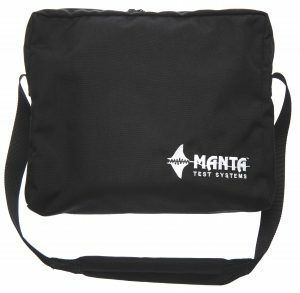 Replacement manual for the Manta MTS-5100. 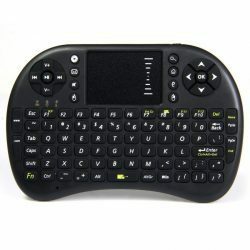 Includes information, specifications, features and capabilities. (Included FREE with all MTS-5100 orders). Extends manufacturer’s warranty to Two Years. One year included with the purchase of Manta products. 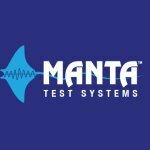 (Please note: Not all Manta products include warranty). 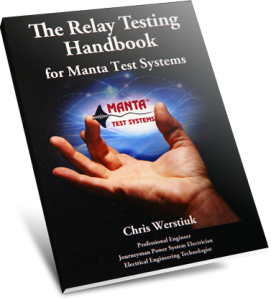 Learn the basics of using the MTS-5100 to test some typical protective relays, at your preferred site. Compatible with the MTS-5000 and MTS-5100, simplify wiring for cases where you are monitoring a lot of relay contact outputs. 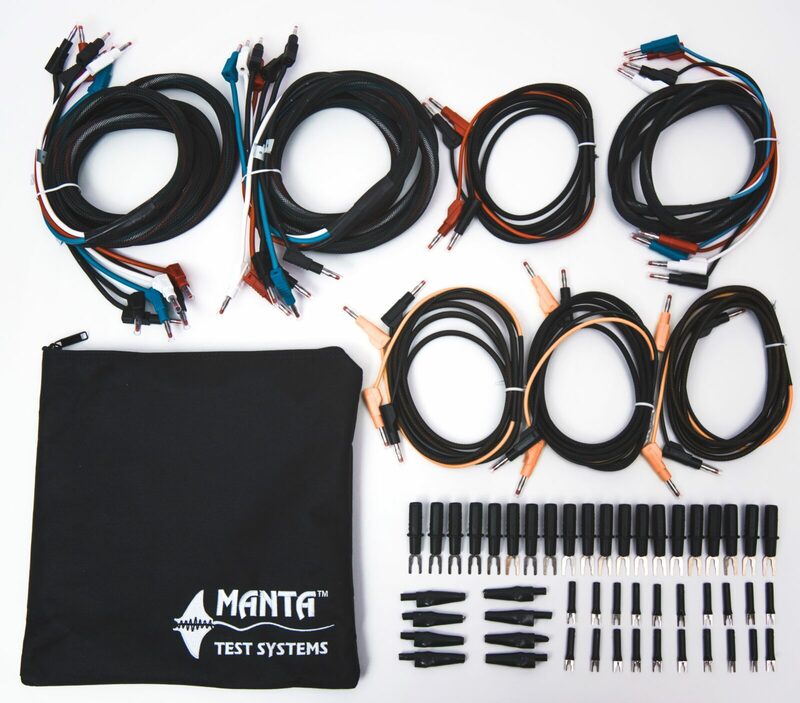 This harness combines the black leads for all the Manta inputs, so you only need to run one return lead to the relay. 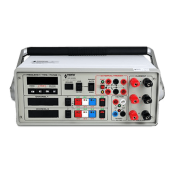 Certified for use with your MTS-5100 or 5000, simply insert the receiver into your USB port and you will have instant wireless control of the Front Panel Display. Measures only 5.5″ x 4″ making it very compact and will store easily with the rest of your test gear. 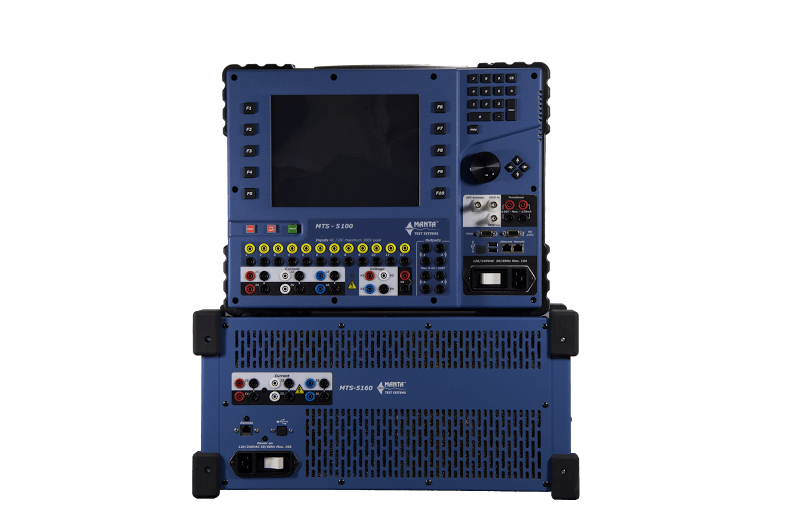 For simplified and non-invasive connectivity when testing 14-pin style recloser controllers with the MTS-5100 Test System. Carrying bag included. 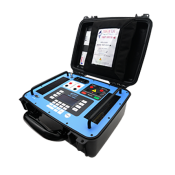 RTC14-5000 Kit is available for the MTS-5000 Test System. 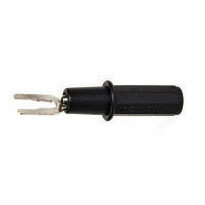 Pushbutton switch for manual triggering of contact inputs (for MTS-5000 & MTS-5100). Included free with all MTS-5100 orders. 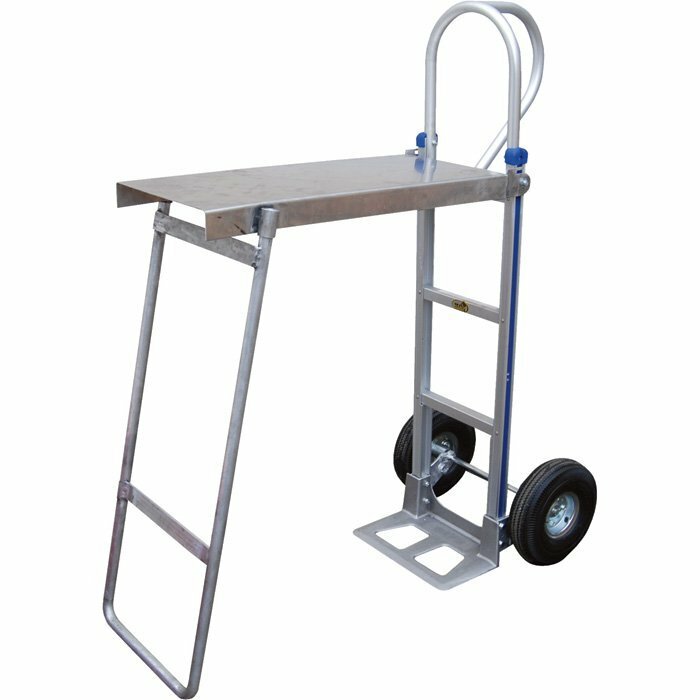 Heavy Duty Aluminum Hand Truck Dolly for your MTS-5×00 units. 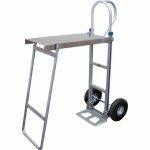 Included is a built-in 100lb capacity workbench and 10″ black foam tires to handle rough terrain in sub-stations. 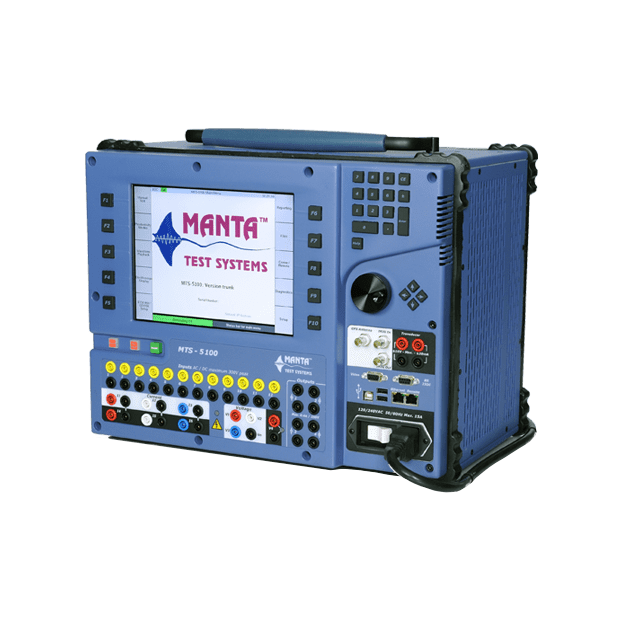 MTS Onboard Software is the firmware that runs natively onboard the MTS-5100 and MTS-5000 test systems. The firmware is updated periodically to add new relays and Productivity Modes as well as other time-savings features. RapidTest™ is a Windows-based software that can be installed on a computer. This software allows for storing the test parameters and results transferred from an MTS-5100 or MTS-5000 test system. This software allows for the creation of standard and custom reports and allows users to send the test parameters back to the test system to re-run previous tests. Remote Console is a Windows-based software that can be installed on a computer. This software allows for the control of the test system using the computer. The computer connects to the test system using an Ethernet cable or wirelessly using a third party wireless connector. The latest version of all three software packages can be downloaded here: Customer Login area. Interested in a Refurbished MTS-5000? 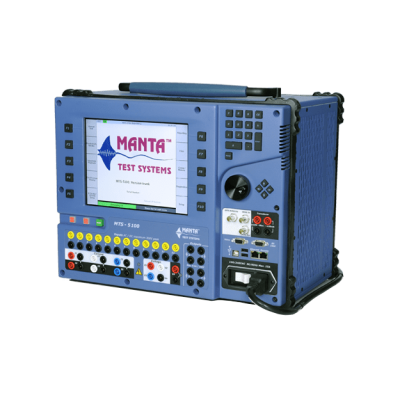 The original all-in-one relay test system with a direct front panel display for all the testing functions. 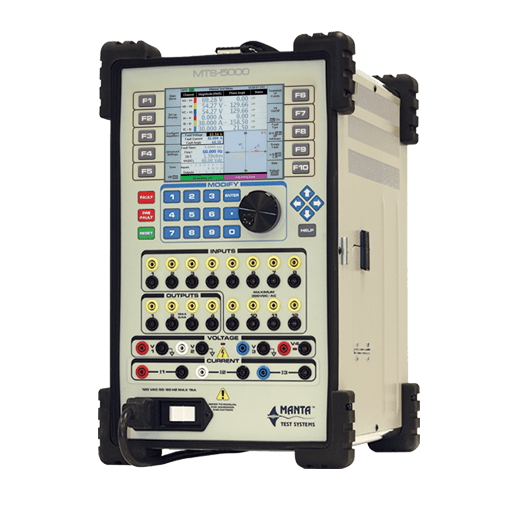 While it has been superseded by the new generation MTS-5100, refurbished MTS-5000 units are still available.